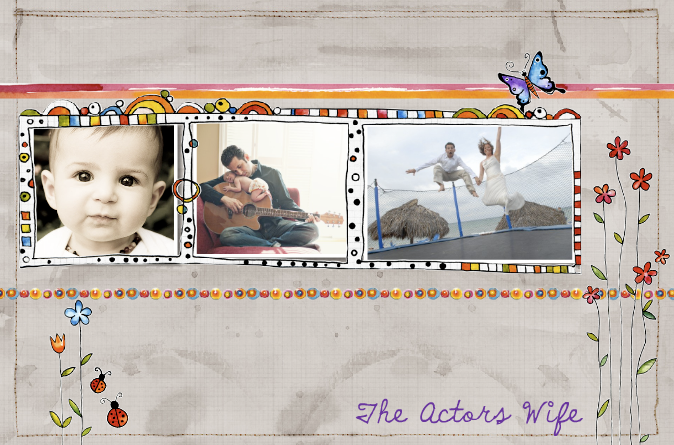 The Actors Wife: I love to Yelp! Whenever I am in a new city the first thing I do is research what is around me. My "go to" site is called Yelp.com. Yelp was started in 2004 by a few guys looking to create a site where local businesses could be reviewed in a fun, entertaining manner. They started in San Francisco but it has quickly started to spread across the United States. Where as citysearch sometimes seems "fake"...yelp is true reviews from real people and they are usually extremely funny to read. I have been frequenting yelp since I discovered it in San Fran and now I cannot go anywhere (dinner, coffee, nail place....) without looking to see what the yelpers think about it. I don't know why I did not start before...but the other day I finally created a username and started submitting my own reviews. I mean these yelpers have helped me out so much....the least I could do was return the favor!! Now...I am addicting. I am writing reviews for everything that I have been to in the last few weeks. What also makes it addicting is that it is kind of like an online community. You have "friends", people can give you compliments on your reviews and they can rate your review on if it was funny, useful or cool. 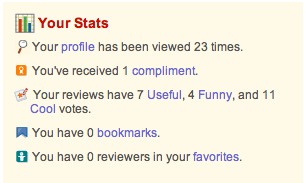 So my challenge to you: Go to yelp.com and start making it popular in your area!!! Start writing reviews...spread the word! I know once you start reviewing things you will be hooked just like me!